Dr. Pexman is the chief editor of the Canadian Journal of Experimental Psychology since 2013 and her mandate was extended until 2018. In addition, she is a member of the CPA Publication committee. The committee will also notice that Dr. Pexman is very active outside Canada. For instance, the nominee has been guest editor twice for Frontiers in Human Neuroscience, is a member of the editorial board of Psychonomic Bulletin and Review and has been a member of the APA working group on the Publication Manual (6th Edition). To this enormous contribution, we must add all journals for which she regularly reviews articles. First of all, Dr. Pexman has been president of CSBBCS (2013-2014). Dr. Pexman was also a member of the organizing committee of CSBBCS annual meeting in Calgary. With CPA, as mentioned above, she is a member of the publication committee. The nominee is also a founding member of the Canadian chapter of Women in Cognitive Science. Dr. Pexman has been able to secure funding from NSERC for launching the Canadian chapter and is very actively involved in its development. Once more, the contribution of Dr. Pexman is absolutely remarkable. The nominee has been a member for 3 years of NSERC grant selection committee Biological Systems and Functions and then co-chair of the committee for one year. In addition, Dr. Pexman has been a member of the Health Solutions Health Trainee Advisory Committee of Alberta Innovates and since 2003, she is a member of the Alberta Heritage Graduate Scholarships Committee. At her own institution, the various administrative positions held by Dr. Pexman allowed her to advance the causes of the scientific study of brain, behaviour and cognition. Those positions include being Associate Dean Research and Graduate of the Faculty of Arts, and Director of the Graduate Programs in Psychology. Outside her university, the work of the nominee with APA for the 6th edition of the publication manual and all her efforts to create a Canadian chapter of Women in Cognitive Science are also good evidences of her work in this field. Finally, all her work with CSBBCS, CJEP, and NSERC was always done to promote our science. Dr. Pexman made a major contribution to training the next generation of leading researchers. 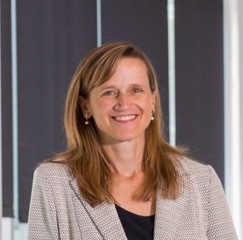 The contribution of the nominee is evidenced by the University of Calgary Faculty of Graduate Studies GREAT Supervisory Award she received in 2015 and the University of Calgary Faculty of Graduate Studies Outstanding Achievement in Supervision Award she received in 2003 and again in 2010. This award was very well deserved considering the large number of students she very well supervised or co- supervised. In effect, the quality of her training is shown by the fact that her students are first author on 35 articles and students are almost always co-author on her publications. Dr. Pexman is also very active both in her department as a member of numerous supervisory committee and outside her institution as an external examiner. The scientific contribution of Dr. Pexman is exceptional. I don’t want to reiterate all the factual information presented in her curriculum vitae. For sure, 82 articles in leading journals, 7 books, and 6 book chapters for a researcher who obtained her Ph.D. in 1998 is by itself impressive. Her citation record of 1347 citations and her H index of 22 are also impressive. Those numbers are even more impressive when considering they were taken in Web of Science in March 2016 which provides more conservative estimates than Google Scholar. Her outstanding contribution has also been acknowledged by NSERC which gave her in 2008 a Discovery Accelerator Supplement which is given by NSERC to “a small group of outstanding researchers who have a well-established research program, and who show strong potential to become international leaders in their respective area of research”. The promise was fulfilled and Dr. Pexman is now clearly an international leader.